Handcrafted from solid premium mahogany. 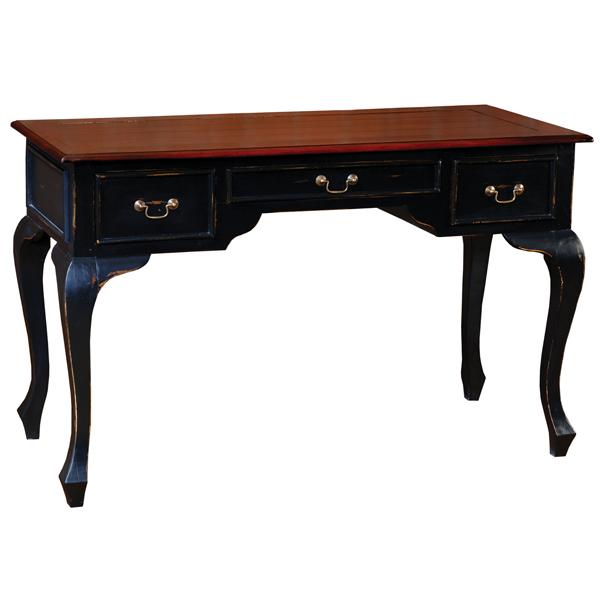 Beautiful curved legs on an elegant writing desk. Features three drawers for organized storage. Shown in Black Heavy Distressed body and Aged Honey stain on the top.